The law firm of Snyder & Snyder, P.A. is consistently rated "AV" by Martindale-Hubbell Legal Directories, which is the highest level of recognition bestowed upon law firms by their organization. 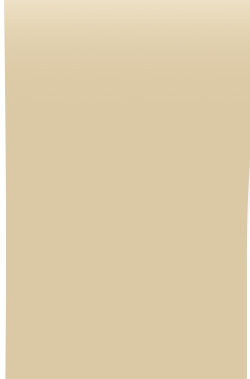 Additionally, the firm is listed each year in the Martindale-Hubbell Register of Preeminent Attorneys. 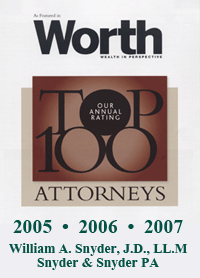 The firm is proud to announce the recognition of its founding partner, William A. Snyder, as one of the nation's "Top 100 Attorneys" in 2005, 2006 and 2007 by Worth Magazine. Mr. Snyder was also recognized for the past five years as a Florida Superlawyer by Superlawyers.com as featured in The Miami Herald, and was chosen by his peers to be included in the past five annual editions of The Best Lawyers in America® in the specialties of Trusts and Estates. Mr. Snyder is a Fellow in the American College of Trust and Estate Counsel (ACTEC).